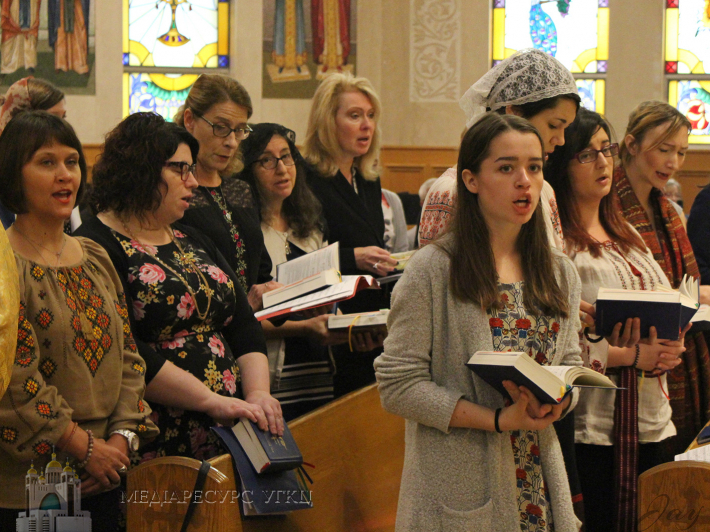 The inaugural and first annual Ukrainian Greek Catholic Church Singing Conference (“UGCCSingCon”), for cantors, singers, choir directors, clergy, and all those interested in church singing, was held in Parma, Ohio, from Friday, October 5, to Sunday, October 7, 2018, at Pokrova Ukrainian Greek Catholic Church and St. Josaphat Ukrainian Greek Catholic Cathedral. 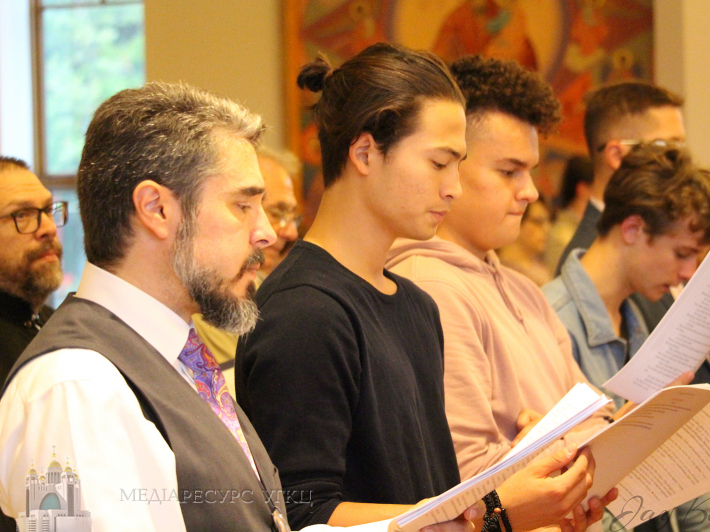 The gathering was organized under the auspices of the Patriarchal Liturgical Commission of the UGCC, presided over by His Grace Benedict, Bishop of St. Nicholas Eparchy in Chicago, and hosted by His Grace Bohdan, Bishop of St. Josaphat Eparchy in Parma. 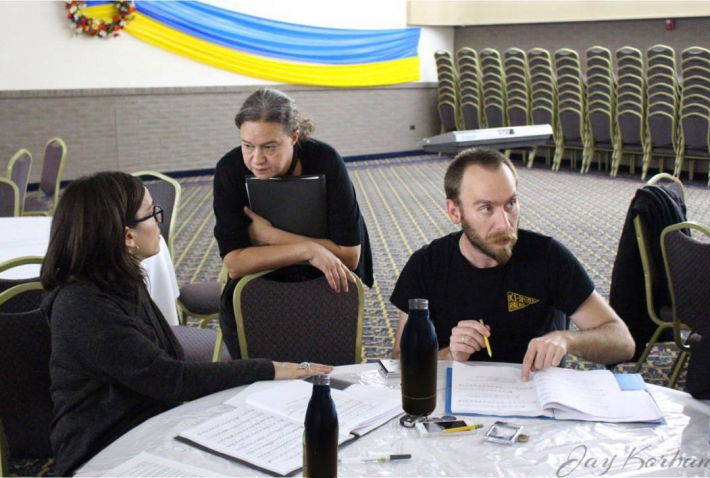 The members of the organizing committee included Larisa Cronin (Ottawa), Reader Ilya Galadza (Toronto), Deacon Daniel Galadza (Kyiv), Roman Hurko (New York), Subdeacon Cyril Kennedy (Edmonton/Washington, D.C.), Father Joseph Matlak (North Carolina), and Melita Mudri-Zubacz (California). The goals of this conference were to advance the state and quality of Church music in the UGCC in the English-speaking world by bringing together cantors and choir directors to meet one another, network, share resources, discuss various issues, and—most importantly—to pray together. 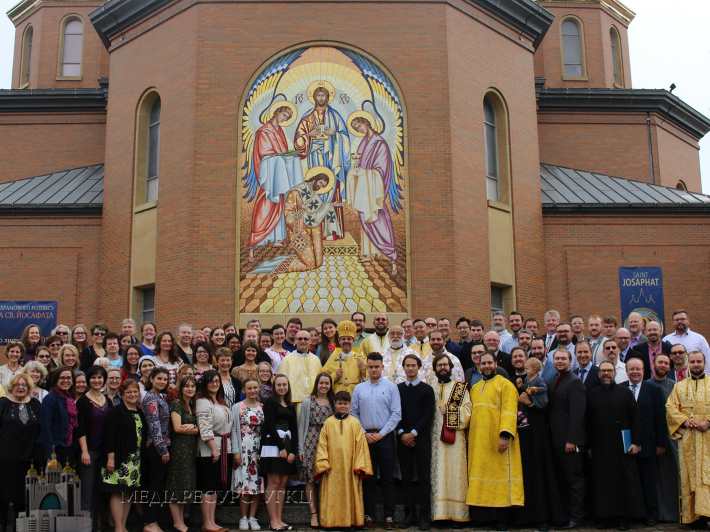 Over one hundred people attended the weekend gathering, representing parishes from every corner of Canada and the United States and almost every Eparchy of the UGCC in North America, with an even age distribution of participants from under 18 to over 60 and all ages in between; the conference also saw a high level of youth participation. After Vespers, dinner, and an introductory lecture on the theology of church singing, participants continued the first evening with rehearsals and a Town Hall/Armchair session entitled “High Place, Altar, Krylos, Pew: Tell us, what’s your point of view?”, a forum for various perspectives on church singing in the UGCC, from bishops and priests to cantors and lay people. 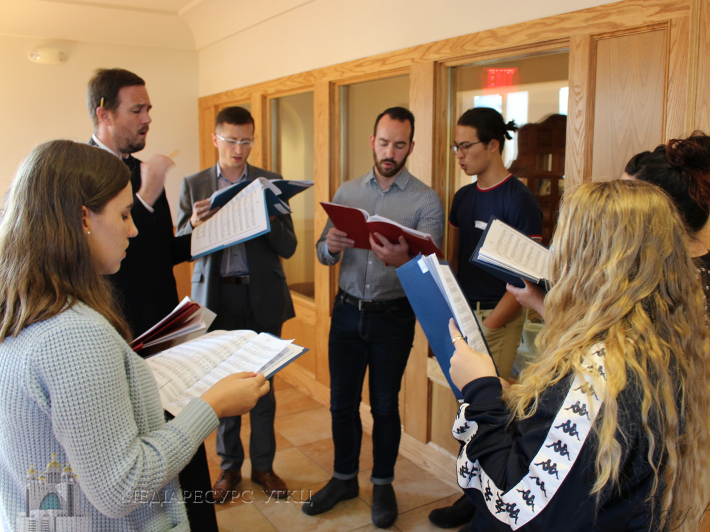 Along with continued services and rehearsals, four workshops were offered on Saturday, October 6: “Conducting and Singing: Vocal and Choral Technique”; “Kids in the Klyros: Integrating Youth in Liturgical Services”; “Introducing Vespers in Your Parish: Tips, Advice, and Tricks of the Trade”; and “Facilitating Group Singing”. Singing at church services was led by various cantors and choir directors. Bishop Bohdan presided and preached at several of the main services that took place over the weekend: a Panakhyda on Saturday morning at Pokrova Church, where deceased cantors and choir directors were commemorated by name; a Vigil on Saturday evening at Pokrova Church; and a Hierarchical Divine Liturgy on Sunday morning at St. Josaphat Cathedral. A key result of the conference is that the Patriarchal Liturgical Commission will have a better sense of the support, resources, and training that cantors, choirs directors, and singers in the UGCC in North America need to fulfill their vocation. Information on the schedule and the music, as well as photos and videos from the weekend, can be found on the conference website (www.ugccmusic.com) and on Facebook and Twitter with the hashtag #UGCCSingCon2018. The next gathering for 2019 is being planned, taking into consideration participants’ comments, suggestions regarding workshops, and issues of importance for the future of church singing in the UGCC in North America. To get the latest updated information and to be added to the mailing list, send an email to hello[at]ugccmusic.com.